Musical Ecologies continues Thursday April 13th with Los Angeles-based guitarist and composer Michael Pisaro. A leading figure of the international Wandelwieser collective, Pisaro is known for pieces of long duration with periods of silence. However, in the past fifteen years his work has branched out in many directions, including work with field recording, electronics, improvisation and various types of large ensembles. Appearing as a soloist this evening, he will perform transparent city (2) for electric guitar and pre-recorded accompaniment. The evening will begin with a conversation hosted by series curator Dan Joseph. 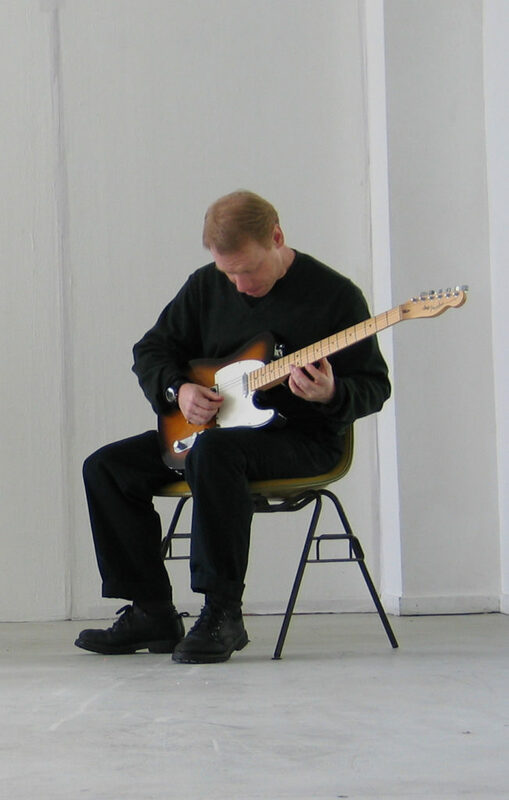 Michael Pisaro (born 1961 in Buffalo, New York) is a guitarist and composer. A longtime member of the Wandelweiser collective, his work has been called “patient, unpredictable, exceedingly beautiful” by the New York Times. Recent portrait concerts of his music have been given in London, Paris, New York, Santiago, St. Petersburg, Lille, The Hague, Tokyo, Glasgow, Moscow, Chicago, Wrocłow, Munich, Sydney, Buenos Aires, Madrid, Brussels, Montpelier, Caracas, Boston, Berlin, Houston, Bologna, Trondheim, Amsterdam, Nantes, Mexico City, Seattle and elsewhere. Recordings of his work have been released by Edition Wandelweiser Records, erstwhile records, New World Records, another timbre, slubmusic, Cathnor, Senufo Editions, winds measure, HEM Berlin and on Pisaro's own imprint, Gravity Wave. Before joining the composition faculty at the California Institute of the Arts, he taught music composition at Northwestern University. In 2005/6 he was awarded a grant from the Foundation for Contemporary Arts. He was Fromm Foundation Visiting Professor of Music Composition at in the Department of Music at Harvard in the Fall of 2014. Comments closed — Trackbacks closed RSS 2.0 feed for these comments This entry (permalink) was posted on Thursday, March 30, 2017, at 4:08 pm by Dan Joseph. Filed in press release.